Unfortunately, coffee equipment doesn’t “season” like an unwashed cast iron skillet. 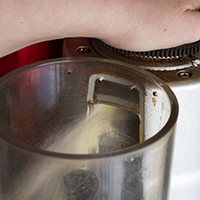 The residual coffee oil left on brewing equipment can taint a fresh batch of coffee and drastically affect the flavor. Coffee and tea made in dirty equipment, tastes like it’s been made in dirty equipment. Don’t squander expertly roasted, precisely ground, perfectly extracted espresso by using dirty equipment–use Urnex products to keep your equipment pristine and your coffee superb. Developed specifically for the specialty coffee industry, Urnex provides easy and effective cleaning solutions for coffee professionals. 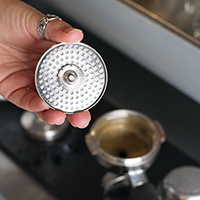 For espresso machines, grinders and steaming pitchers, we recommend starting with the basics. The Urnex Starter Kit contains reduced quantities of Cafiza®, Grindz™ and Rinza® plus a Scoopz™ Espresso Brush to let you try this powerful system without breaking the bank. 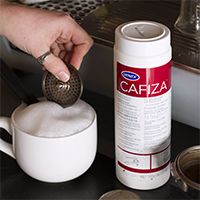 The true workhorse of the Urnex line-up, Cafiza® Espresso Machine Cleaner Powder is specifically formulated for espresso machine back-flush cleaning. Because it is impossible to scrub internal mechanisms/parts and because any residue would end up in a beverage, this powerful product has been formulated for maximum solubility and easy rinsability. Translation: Cafiza does the hard part. You don’t have to scrub and Cafiza leaves no chemically, soapy film to wipe off afterward. Plus it’s NSF certified for metal compatibility and safety and OMRI™ Listed for use in Organic Production. So it won’t corrode your equipment or negate your organic certification. Made of gluten-free, organic oats and pharmaceutical grade binder, Grindz™ from Urnex is the world’s first product for cleaning coffee grinders. This patented innovation is all-natural, food-safe and flavor neutral. 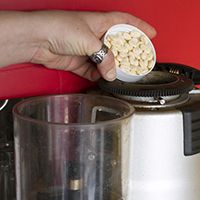 Simply grind the small coffee bean size tablets the way that you would grind conventional coffee and Grindz absorbs the coffee oils and debris clinging to grinder burrs and internal components - no disassembly, chemicals or scrubbing necessary! With this handy product, avoid the stress of a high stakes grinder-jigsaw puzzle (and the maintenance fee when you botch the reassembly...) and keep lingering coffee grounds/oils from dulling your burs or tainting your brew. 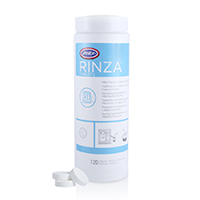 An integral component in the daily cleaning regimen, Rinza® easily removes milk residue on steam wands, valves, and tubes. 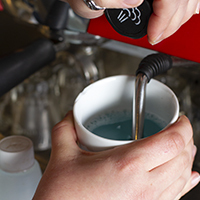 Suitable for use on automatic milk frothers, manual steam wands, traditional and super automatic espresso machines, Rinza® is quite versatile. 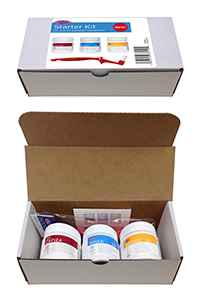 Plus with acidic, alkaline and tablet formulations, you can best address your cafe’s specific concerns.